INTZ have officially pulled off the biggest upset in worlds history. How did they do it? INTZ e-Sports pulled off the largest upset ever seen at worlds. A Brazilian team coming into Worlds upsetting the number 1 Chinese team. Let that sink in for a moment. 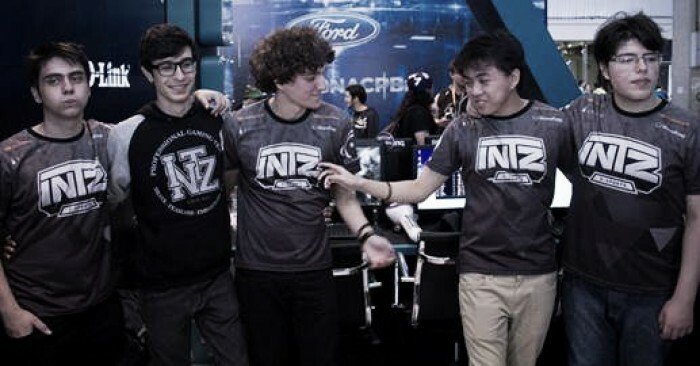 Apart from this being the biggest upset we've ever seen, INTZ did some incredible things in this game. We saw earlier in the Albus Nox, ROX Tigers match, Nox got a lead but then seemed to just pick fights and go hard with no real gameplan. INTZ came into this match with a specific gameplan. INTZ's macro gameplay was really, really efficient against EDG. They grabbed the early lead, held that lead, and took baron, dragon, and inhib by inhib before they could nearly guarentee a victory. The biggest area of concern for EDG is in the toplane, Mouse. Mouse finished with a 1/7/3 score on Irelia in this match, and is a massive weakness for this team. In fact, a lot of EDG's losses in the LPL were against teams that featured top-lane in their team. This is a huge problem for EDG going forward. Although they are incredible players in the other positions, there are so many teams that feature a top-laner who is very capable of carrying their team. As it stands now, all of Group C is shook up. AHQ and INTZ came out with wins, which means this is grind season for H2K. Most expect EDG to even after dropping today, to regain their form and get out of group C, but H2K can't afford these losses, and they play INTZ in day 2. If they start off worlds 0-2, you might as well count them out. This group is really up in the air now, and this writer can't wait until day 2. Worlds is a crazy time. The biggest upset in worlds history just happened, oh and it's just day 1 of the tournament.